Even though the Opposition’s No-Confidence motion was passed, the very opposition must exhibit patience with the government which is now seeking to explore the dynamics of the situation. This is according to Executive Member of the Working People’s Alliance (WPA), Dr. David Hinds. “We also have to be conscious of the fact that PPP supporters are likely to feel that the government is trying to keep itself in office. And so, even as the government is exploring all the possibilities, it must bear that mind. Dr. Hinds expressed the view that success of the No-Confidence vote exposed the weakness of the coalition. “The government has to take full responsibility for what happened. With such a slim majority, they governed as though they had a super majority. All of the coalition members did not feel a sense of ownership of the government. So the entire management of the coalition was just filled with mistakes. The political commentator said that the WPA will have to make a decision on how it is going to move forward with the coalition. 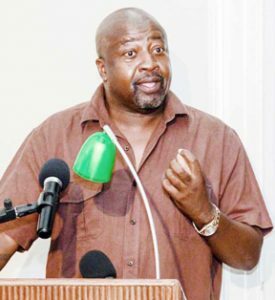 He said that his party has not been active with the APNU, nor has the APNU tried to be active with the WPA. Additionally, the political commentator said that the success of the Opposition’s No-Confidence Motion comes as a blow to those who believe in coalition politics. He said, too, that the outcome exposes the fact that the coalition underestimated the political acumen of the PPP. He said, “When the coalition went to elections, the PPP was badly wounded. When the APNU+AFC Party got into power, the PPP was able to move from being a party that was battered and bruised to one bringing down the Government in three years. The WPA Executive Member said that the Government has no one but itself to blame for its fall from grace.